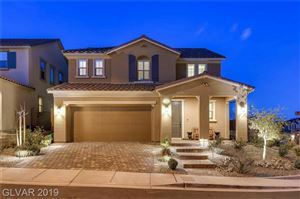 The Anthem master-planned community has been beautifully crafted by Del Webb over a 4,755 acre canvas in Henderson Nevada at the base of the McCullough Mountains. 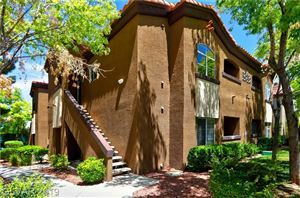 Anthem is conveniently located just 20 minutes from the airport and 25 minutes from the Las Vegas Strip. Anthem features panoramic views, breathtaking natural desert scenery by day and stunning Las Vegas valley and neon “Strip” views by night. There are several golf courses located within the Anthem community, including the Anthem Country Club and the Revere at Anthem. Other amenities include swimming, tennis, fitness centers and parks with children’s play areas. Anthem is actually comprised of three distinct communities within the complete master-plan, and includes five distinct neighborhoods. Anthem Country Club is an exclusive guard gated private golf neighborhood of upper end production homes, custom homes and custom home lots. 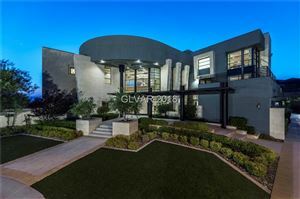 Amenities include: a championship Hale Irwin golf course, stadium quality tennis courts, clubhouse, lush resort style pools and state of the art fitness center, as well as gourmet dining. Sun City Anthem is a wonderful Del Webb retirement community of approximately 10,000 homes perched high in the southern foothills. Sun City Anthem features a lavish clubhouse and recreational facilities with state of the art fitness center, wellness center, arts and crafts room, computer room, card rooms, billiards room, tennis courts, pools, bocce ball courts, wood shop and gourmet dining. Sun City residents are also eligible for discounts on the two Sun City Anthem courses. Solera is an active adult retirement community of about 2000 homes priced a bit more modestly than the Sun City Anthem community. Homes range in size from 1142 square feet to 1768 square feet. Solera features a community clubhouse, pools, exercise facility and tennis courts.